Are you a looking to make your business stand out with a new sign? 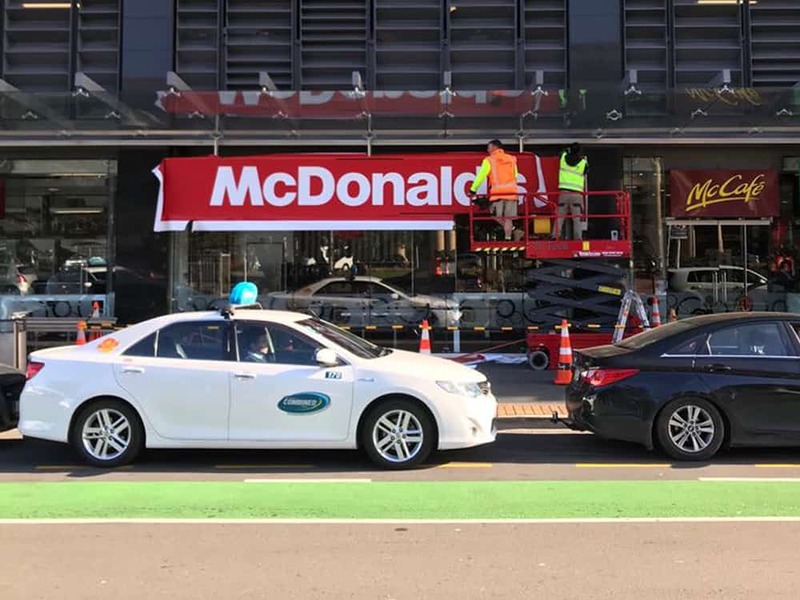 Whether you are relocating, rebranding, or looking to replace your existing signage, there are a few things you should carefully consider before proceeding. In this post, we list down some crucial things business owners should know before ordering a sign. Before ordering a sign, consider how large you’ll need the display area to measure. Not only does the available space need to be considered, but also what can be seen on the sign once it has been installed. Think about the where your sign will be placed and how people will be able to view it. Too large and it can be distracting, too small and people might miss it! Different businesses require different types of signs to showcase their products and overall brand. Knowing what purpose the sign will serve, as well as its location, will increase the exposure of your signage. It is worth thinking about what you are looking at achieving with the signage; for example is it brand awareness or for promotional use? We have a range of signage types available for different industries. Some examples of types of Signs we look after (but not limited too). Knowing exactly what type of sign you need is one of the first – and most important – steps you should take before ordering a sign. Depending on the type, your signage experts may need to alter the artwork or branding, so it’s very important to plan and discuss your options right from the start. The signage design process is fairly straightforward once all the details are agreed upon, however delivery and installation of the sign is another story. Depending on the signage, permits can take weeks if not months. We can help with local council signage code requirements to ensure the sign meets all regulations. Furthermore, the complexity and requirements of the process depend on the type of signage ordered. Speak to the experts at Sign Foundry and we can assist you when it comes to regulations and codes to make sure your signage meets all the requirements. Your signage should always look fresh. Temporary dates on a permanent sign can spell disaster; sometimes you might extend a sale or promotion, or the date might change altogether! Planning your sign writing in advance will help avoid the expense of having the sign altered. Furthermore, your signage should conform to current trends, such as having your website listed on all your signs. It’s critical that your sign communicates to its viewers where they can find you (if that is the main purpose!). Artwork should also be carefully considered. Your sign writing and artwork has to match your business’s branding in terms of colours and logo. If you need custom made artwork for your signs, this needs to be thought of in advance as it may take some time to design and produce your required artwork. What’s your exterior signage budget? Do your research and get quotes from signage companies. Signage is a powerful advertising strategy you will continuously use and find value in, so you need to know the costs and include them in your budget. Some signs are more expensive than others, particularly if they take a long time to produce. Your signage should never be an afterthought. Great exterior signage doesn’t have to be expensive! If you know exactly what your budget is, what sign you require, and the artwork, it can be one of the most impressive advertising tools for your business. Sign Foundry does things differently. Our approach is based around customer service and quality products. We love what we do and it shows. We’re invested in our team of multi-talented and skilled craftsmen who all have a passion for all things flash and shiny; we deliver above and beyond in the signage and visual advertising world. For more information about our services and the types of signage services we offer, kindly contact us for a quote.